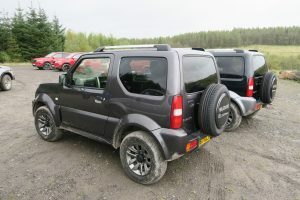 Despite its reputation as a small car specialist Suzuki is perhaps held in higher regard for its off roaders. Of the seven models it presently sells in Ireland, six have off road ability. AllGrip is the term buyers need to look out for. Suzuki offer three variations of AllGrip technology with AllGrip Pro reserved for serious off roading, AllGrip Select for more modest use and AllGrip Auto ideal for milder terrain. 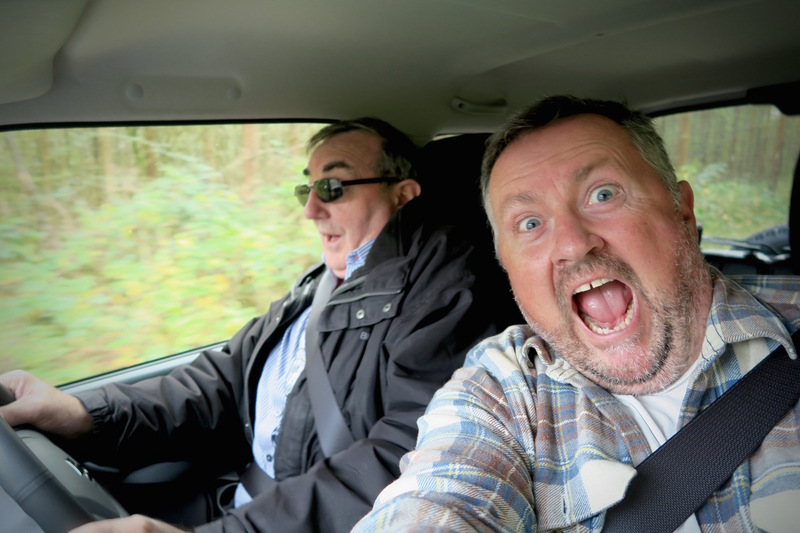 We’ve taken to the hills to see what little cars can really do off road. Wales was the destination to get to grips with Suzuki’s off road technology. The principality is rich in spectacular countryside that is made even more beautiful when contrasted with the industrial towns. When you look down into the valleys, even on a bright day, the towns look dull and depressed. 60 miles outside Cardiff we arrived at Walter’s Arena in our Suzuki SX4 S-Cross. The off road mecca is a vast privately owned estate. Suzuki had secured access to over 70 miles of tracks that carve through the hills. Undulating forestry fire roads and short cuts made by large plant machinery would be our road network for the day. A number of larger manufacturers use the area to fine tune their off road machines and there is even an area where battle tanks are put through their paces. BMW Motorrad and Honda also use the area for their respective off road motorcycle schools. Our guide, the suitably named Cliff, would lead the way and we’d follow switching between a variety of Suzukis on normal road tyres. The AWD Ignis with its simple AllGrip Auto system lapped up everything the harsh trails had to offer. The city car was particularly impressive climbing and descending muddy slopes that you wouldn’t attempt on two feet. 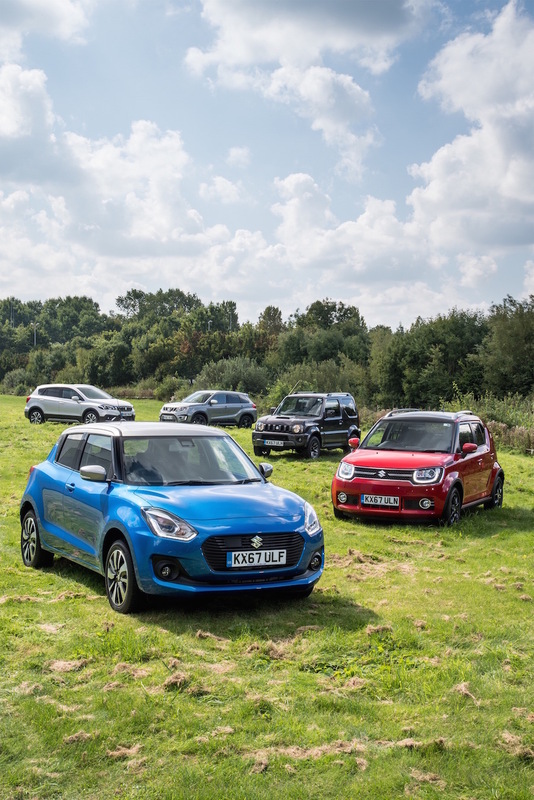 The excellent hill descent control system did the hard work of controlling braking the four wheels as the Ignis, with first gear engaged and feet off the pedals, made its descent in a controlled and safe manner. 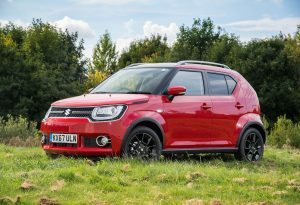 The Ignis has been a relative success in Ireland and Suzuki expect to sell 300 units this year. The Vitara and SX4 S-Cross get AllGrip Select, and as you correctly surmise, both cars get a greater level of control thanks to a rotary controller that allows drivers select the type of terrain they wish to tackle. 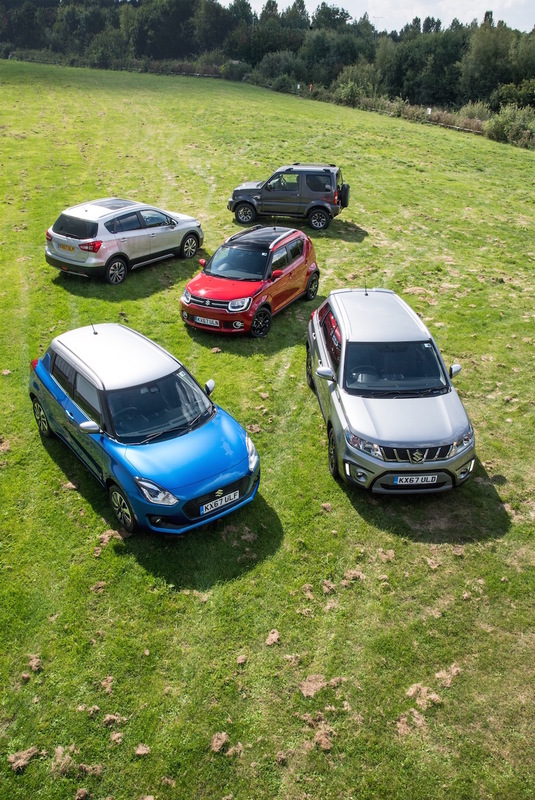 Both vehicles manage to be good cars on the road that can clearly boast off road ability. The legendary Jimny comes with AllGrip Pro. It has a standard 2WD drive train but with the press of a button you can engage 4WD high (the same gears as normal) or with another button press select 4WD with a low gearbox for serious off roading. 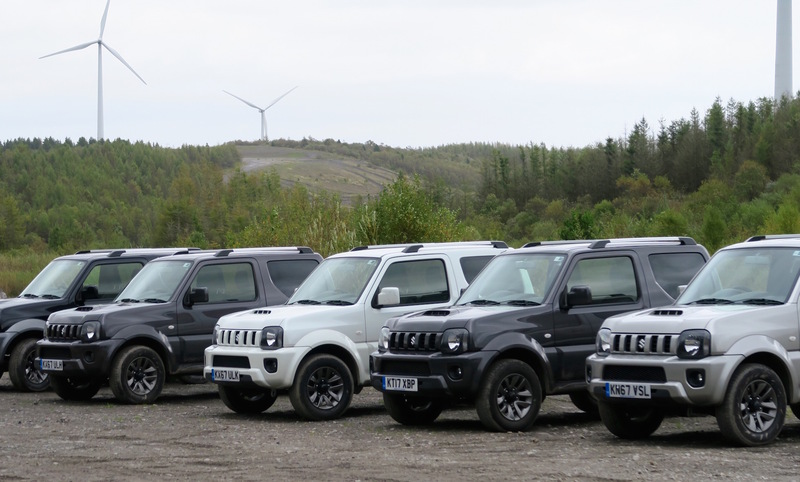 The Jimny can seat four and is an extremely narrow machine. 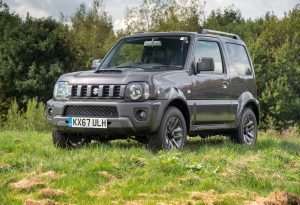 Suzuki Jimny owners love its neat size and have been very vocal, insisting Suzuki does not alter this trait. The Jimny is a real giggle yet astonishingly capable. The day was a great experience and while we didn’t traverse any rivers or need to use winches the cars all proved that not all heroes wear capes. 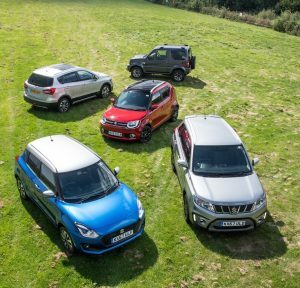 Suzuki is just one of a few brands making headway in the Irish new car market this year (2017) with an 11 per cent growth over 2016. Since January just Mercedes Benz, Seat, Fiat, Suzuki followed by Kia, Land Rover and Renault are all ahead of the depressed market. Don’t rush off to invest just yet as in Ireland the Suzuki brand represents just 1.2 per cent of the new car market. Its sales are modest with just 1,263 sales in 2016 and an expected 1,400-1,500 in 2017. Suzuki is pretty big elsewhere and is the third largest carmaker in Japan. Suzuki is a huge force in India where it scale is truly astonishing. The small car specialist sells on average per month 16,000 Balenos alone through a network of circa 3,000 dealers. 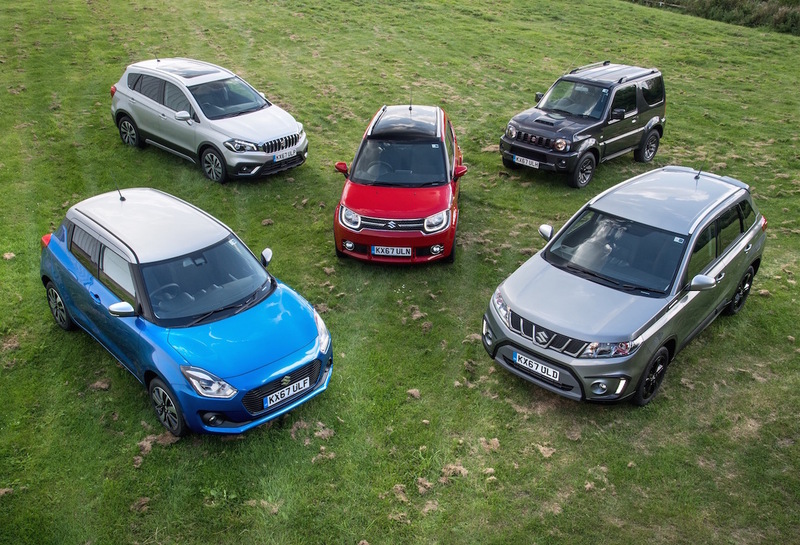 Vitara and Vitara S are compact SUVs, the SX4 S-Cross is a compact crossover, the Swift supermiini hatchback and Baleno supermini and Ignis city car. Only the India built Celerio city car needs tarmac. Suzuki has been making off road capable small cars since 1970 with the LJ10. In 1981 the famous SJ410 started the legend as it was a super light four wheel drive with incredibly short overhangs and a power to weight ratio that was unheard of. As most serious off roaders use special gearboxes the ratio of power generated and the cars weight has a huge impact on the car’s ability to climb steep slopes. The SJ, like the Suzuki Jimny today was as light as a feather and with a high and low ratio gearbox the little machine could nearly climb vertically. The ability to go nearly anywhere is thanks to the low ratio gearbox. It is like having another set of gears below the normal ones. In normal road conditions most cars move off in first gear, but that gear is more like the equivalent of fifth or sixth when the low ratio gearbox is engaged. To this day little SJ Suzukis regularly shame Land Rovers and Toyotas in off road competitions and you could not meet prouder owners. Sadly the cute and capable Jimny is not on sale in Ireland. The 1.3 litre petrol engine produces 162g/CO2 and according to Suzuki is not viable in our market. In the UK where it is on sale it sells a consistent 1,000 units every year with owners tending to hold on to their cars for up to 8 years on average. Ireland will have to wait until 2019 for the greener replacement. Suzuki Ireland has invested heavily in a new awareness campaign. In the UK it is seeing the benefits of using celebrities Ant and Dec and television sponsorship of the X Factor talent show but Suzuki Ireland, a subsidiary of Suzuki UK is as yet unsure of the impact in Ireland. 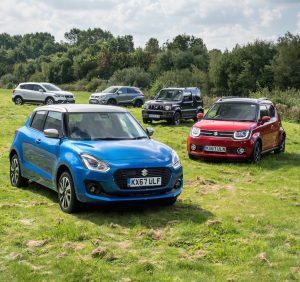 The little Suzuki off roader range is wonderfully honest and all the vehicles are hardworking too – deserving of greater popularity.